My son has participated in the Living To Music sessions from the off. He was 11 when they started and already embroiled in music – he’s since become something of a multi-instrumentalist, playing in 3 different bands – keyboards in one, drums in another and bass in the third. He’s currently getting into guitar as well, so, given that I never, to my shame, learnt to play anything myself (bar records), he’s fortunately not inherited his father’s lack of musical dexterity (resulting from a lack of patience). The Nirvana ‘Nevermind’ session, 12 months ago, made a particularly big impression on him, and he’d subsequently become familiar with their wider body of music. Further to this he’d become a big fan of Foo Fighters, the band led by ex-Nirvana drummer Dave Grohl (who’d switched to vocals and guitar). His highlight of the year was going to see them live at the Leeds Festival in August. He’s always had music around him, in a whole spectrum of styles, but he’s naturally gravitated towards Indie-Rock and, tracing the lineage back, Punk, discovering a broad range of artists, old and new, in the process. 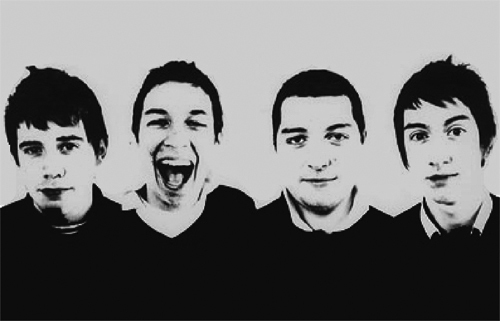 However, one band has captured his heart above all others during recent months – Sheffield’s Arctic Monkeys. Although I’d never found time to take a closer listen, I’d always personally liked whatever I’ve heard and seen of them, via radio plays or TV appearances I’ve caught, ever since they burst of the scene with one of the great singles of the ’00s, their official debut (they’d previously released a limited EP), ‘I Bet You Look Good On The Dancefloor’, which rocketed straight to the #1 spot on the chart in October 2005. A second single, ‘When The Sun Goes Down’, once again a chart topper, was released a week ahead of the eagerly anticipated album, ‘Whatever People Say I Am, That’s What I’m Not’, which duly became the UK’s fastest selling debut , shifting a staggering 360,000 copies in its first week. The LP’s title was taken from the Alan Sillitoe novel ‘Saturday Night and Sunday Morning’ (1958), which was subsequently made into a film 2 years later, winning acclaim as one of the ‘kitchen sink dramas’, which were a spate of gritty Northern tales that revitalized British cinema during the late ’50s / early ’60s – frontman Alex Turner recognising a similar spirit in the book to what the band were projecting on the album. 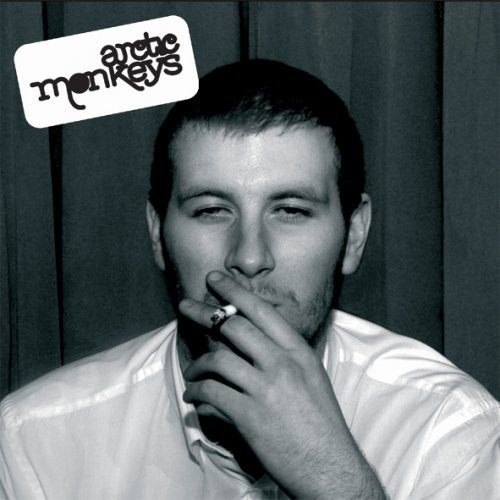 Arctic Monkeys make a great noise, vital and vibrant with hooks galore, but what really sets them apart is the lyrical excellence of the then 20 year old Turner. He brilliantly articulates the experience of city centre nightlife / street life, warts and all, telling it as it is in his own language and his own endearing broad South Yorkshire accent. It’s such a well observed collection of songs, a breath of fresh air in an era that will be largely remembered as the X Factor age, with wannabe pop stars singing whatever they’re told to in pursuit of fame and celebrity. This album reminds us that, even at a time when we’re seemingly in a cultural cul-de-sac, great music is still being made by young people with something real to say. So, big thanks to my son for turning me on to a brilliant album that I wouldn’t have got around to checking out, at least not at this point, otherwise. ‘Whatever People Say I Am, That’s What I’m Not’, is only the 3rd 21st century recording chosen for L2M – the others being Amy Winehouse ‘Back To Black’ (in Aug 2011) and Janelle Monáe ‘The ArchAndroid’ (in Nov 2011). I was very much looking forward to this album having owned it when it came out and not having given it a listen of late. It did not dissappoint. I’d forgotten how raw it sounded. You can absolutely feel that youthful energy rarrring at you from the speakers. What I love most about this album is the story telling aspect and the humour that weaves it’s way through. Riot van and Mardy Bum in particular. Plus the fact that Alex’s accent is present and you’re left in no doubt where he’s from. One of those albums that’s right up my street and will always take me back to the time it came out. It’s one of the things i value most about music, is the way it anchors your memories. I was very much looking forward to this album having owned it when it came out and not having given it a listen of late. It did not disappoint. I’d forgotten how raw it sounded. You can absolutely feel that youthful energy rarrring at you from the speakers. What I love most about this album is the story telling aspect and the humour that weaves it’s way through. Riot van and Mardy Bum in particular. Plus the fact that Alex’s accent is present and you’re left in no doubt where he’s from. I had to watch it twice as I was completely blown away by this amazing, young and very talented tight northern band. I then got a copy of the Album. I was living in Brixton at the time in a flat with my good mate Wilson. It rapidly became a firm favourite of ours and it got rinsed quite regularly on the music system and introduced to all our pals. What I love is the key part of their sound and one that translates across their whole discography. 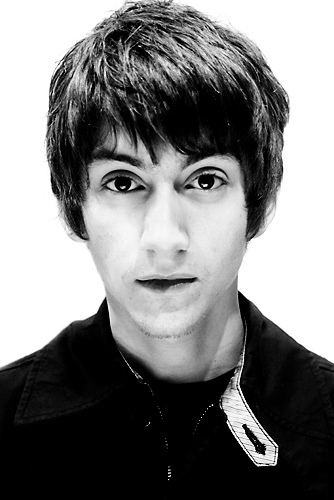 Is lead singer and frontman Alex Turner’s intricate and often rapidly-delivered lyrics, sung in his distinctive strong Yorkshire accent that their music became famed for when they started off. Only other bands I know that sing in their accent at the moment is GlasVegas & The View. I think Matt Helders drumming is phenomenal and considering all their ages they are far better than so many bands that have been around for sometime. I hadn’t listened to the album in it’s entirety for quite sometime so it was nice to revisit. My favourite track of the whole album is ‘A Certain Romance’ so I always look forward to listening to that track and will never tire of it. ‘Dancing shoes’ is another one of my favourites off the album but I do love it as a whole and admire the passion, talent and skills that shine through it all. I’ve had the pleasure of meeting them and also seeing them perform live in 2007 at Old Trafford cricket ground. The soulful and late Amy Winehouse (RIP), Mersey band The Coral and indie stalwarts Supergrass supported them, but the day was all about the Monkeys. They performed tracks from ‘Whatever People Say I Am, That’s What I’m Not’ & ‘Favourite Worst Nightmare’ it was a truly stunning set until the sound cut out and the lads didn’t know the crowd couldn’t hear until the boooing started. They then stopped. The technical fault got sorted and Alex says nonchalantly in his yorkshire accent “sorry about that, lets start again shall we” and they burst into “Mardy Bum ” inspiring a mighty sing a long and they had the crowd in the palm of their hand yet again and as if nothing had happened. They did an encore and finished on my fave ‘A Certain Romance’…then the lights went up they bowed and thanked and walked off to Carly Simons ‘Nobody does it better’. This album is def a modern classic and has inspired a few people to cover certain tracks. The following is one I came across on a compilation I have called ‘Modern Funk compiled By Adrian Gibson’ and it’s ‘When the Sun goes Down’ by Lack of Afro. Great choice of album. Although relatively new, at least compared to the majority of the other LTM selections, I have no doubt its influence will continue to grow. The band mean a lot to me, revitalising my interest in guitar-driven bands after 20 years collecting house, disco, funk, soul and hip hop. I was grateful for that – guitar bands, at least those who embraced house culture, were my way into gig-going and nightclubbing on the cusp of the Madchester revolution. The Arctic Monkeys’ debut is, like Definitely Maybe, one of the great British debut albums. It’s rare that a band burst onto the scene so ready. And, like Oasis, I don’t think the Arctic Monkeys have bettered their first album. There’s not a duff track; turner’s lyrics belie his years and call to mind Morrissey; the music is urgent, uplifting and plaintive simultaneously. Few albums sound so good loud. A great British record. Having not listened to this album I was fairly open to what it might deliver given the one track I new from the charts. However I found it samey samey from one track to the next. A veritable clash bang noise for much longer than I was comfortable to lend my ears. Discussing it later with my listening company, I take the point that it marked a certain social comment of it’s time, nevertheless it just did not resinate with me. I love this album. Clever lyrics and youthful exuberance. It marks a period in time. Reminiscent in energy to early Undertones. A teenage band for their generation. Alex Turner’s vocals are simply great. Really catchy hooks underpinned by driven guitar and banging rock drums. It’s a charming album, funny and heartfelt. Really clever lyrics, some great riffs, funny and melancholic, but all a great verbal/visual cross section of night life and home life. I am not a banging drums and twanging guitars person and some of the tracks did my head in BUT through it all, those lyrics in that fabulous northern accent held it together and held my interest. Track 11 the dirty scumbag don’tcha know makes me howl laughing. Noise aside, what a great album, reminiscent of early 70’s punk at times and loads of fun! First time I’ve heard the album in full, although I know a few of the tracks inside out from when I used to DJ in Bumper in Liverpool on Sunday nights. The attitude, loudness, catchiness and acute social commentary really caught the spirit of the times like nothing else quite managed. I did not believe in the Arctic Monkeys straight away. I presumed that the claims made for their greatness would be as empty as those declaring Damon Albarn to be the new Ray Davies or Oasis to be the new Beatles. Some people argued that at least these claims connected youth to musical history, I never really believed that. I hoped that there was potential for someone to understand the full significance of the past and have the wit, intelligence and attitude to strive to create something equally great. When I finally saw beyond my very low expectations I couldn’t take my eyes off this band. This album has all the angles and edge that the best bands have ever had. Alex Turner is everything that a frontman should be and for most of my life i would have seen that as everything desirable in the world. He handed me back my own teenage anger……taking the words out of arthur seaton’s mouth….words that spoke directly to me back then…words I had wanted to have the balls to say. True and great…truly great in fact.